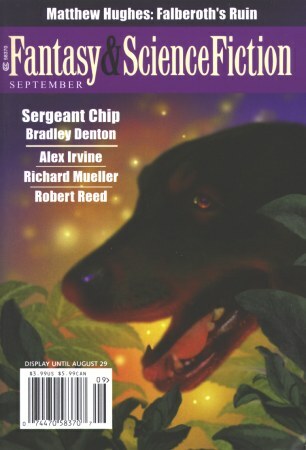 The Magazine of Fantasy & Science Fiction [v107 #1, No. 630, July 2004] ed. 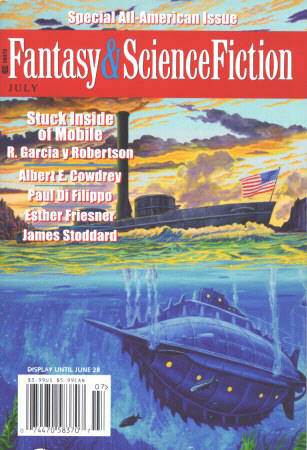 Gordon Van Gelder (Spilogale, Inc.; Hoboken, NJ, $3.99, 164pp, digest, cover by Kent Bash) Special All-American Issue. 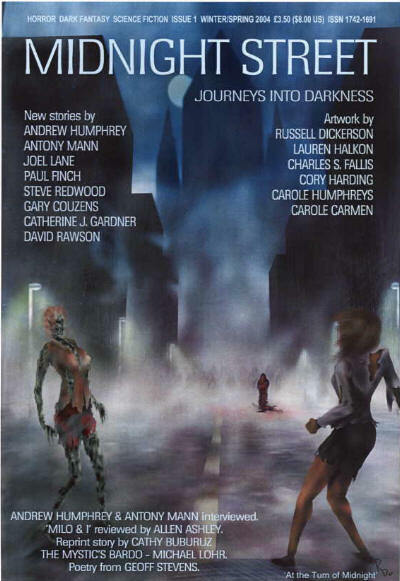 29 · The Landing of Saucers · David Lunde · pm 2001: A Science Fiction Poetry Anthology, ed. Keith Allen Daniels, Anamnesis Press, 2001; revised. Midnight Street [# 1, Winter/Spring 2004] ed. 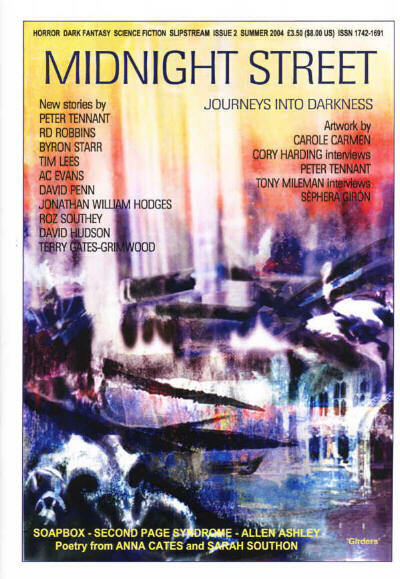 Trevor Denyer (Midnight Street; Aldershot, Hampshire, England, £3.50, 52pp+, A4, cover by Russell Dickerson) Small press SF magazine, replaces Roadworks. Nemonymous [# 4, 2004] ed. Des Lewis (Nemonymous, £5.50, 96pp, 8.5" x 6") A megazanthus for parthenogenetic fiction and late-labeling. 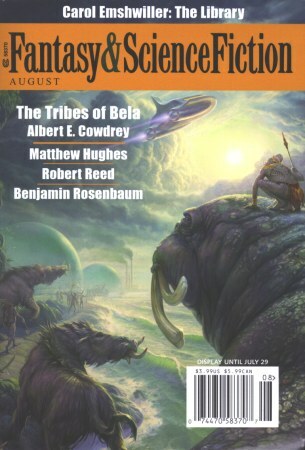 None of the authors are credited in this issue; their names will be revealed in issue #5.